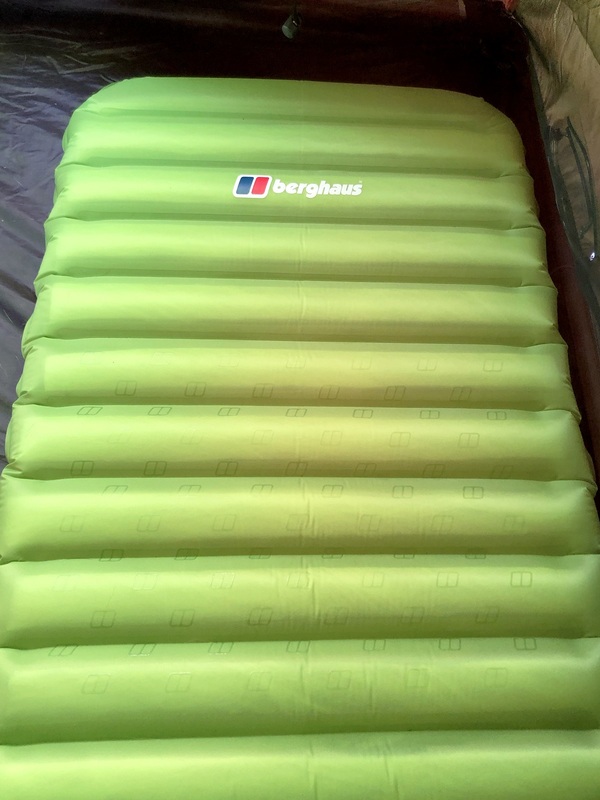 Here we have the Berghaus Pro Peak insulated sleeping mat, said to be very lightweight, small and filled with Primaloft insulation said to mimic the properties of natural down. 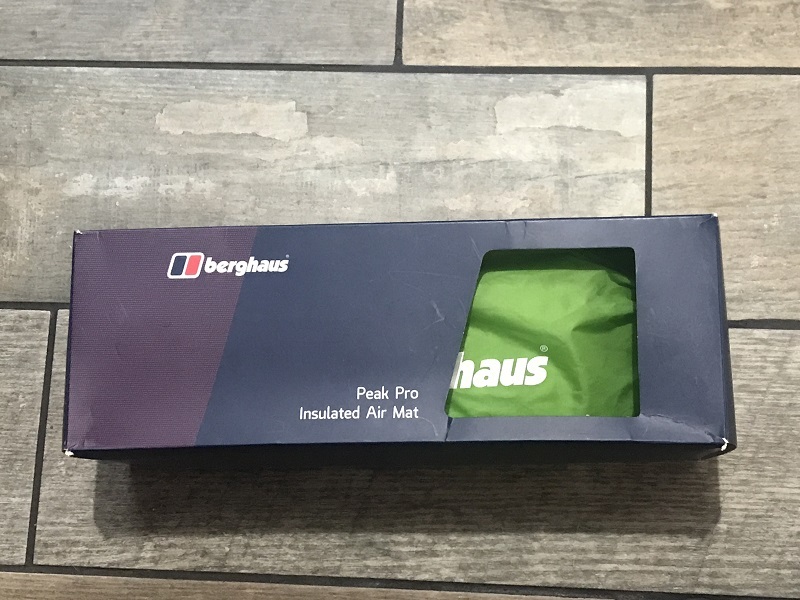 So is this Pro Peak air mat any good? Lets find out. We can’t talk about how good (or bad) a piece of kit is without have taken it out into the field and testing it properly first. 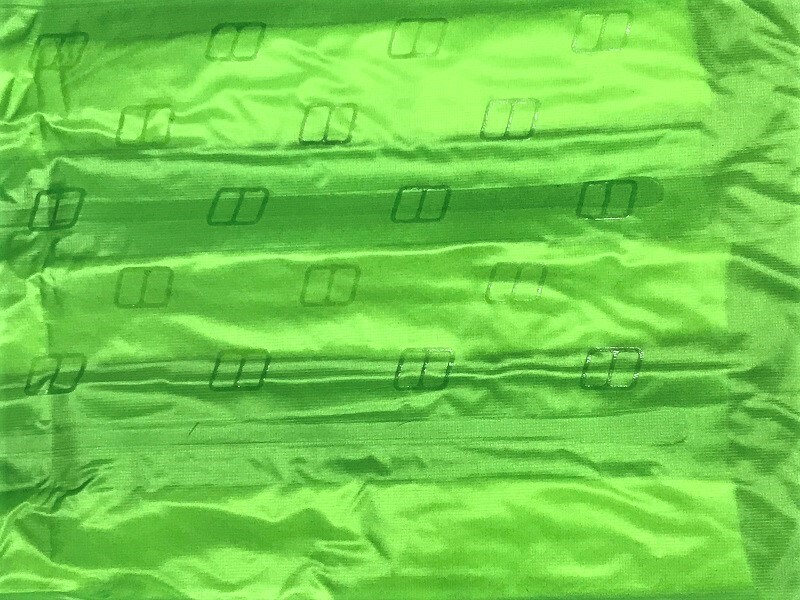 What is the point in copying information from the manufacturers website or just showing you what it looks like when you take it out of the box? 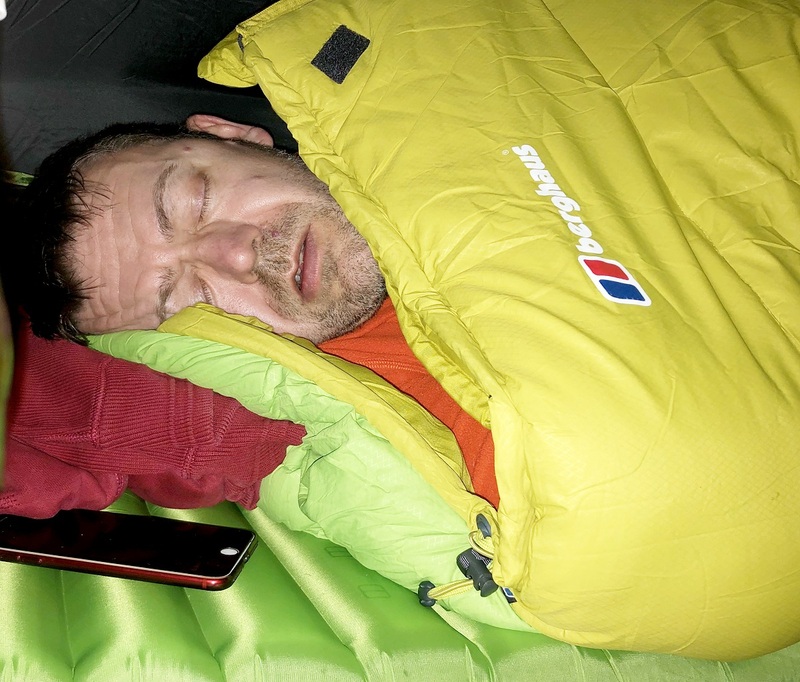 So lets go out and use the Berghaus Pro Peak insulated sleeping mat and tell you about our findings. 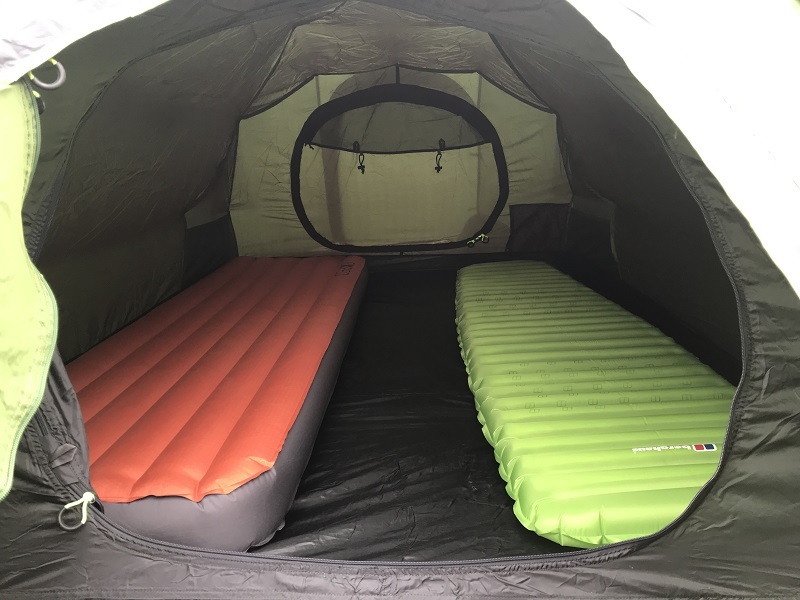 I first gave it an outing when we went to the Long Mynd (Church Stretton, Shropshire) in February, where we ended up pitching in the snow and it got down to a toasty -2 degrees inside the tent. It also had an outing near the Wyre Forest (Bewdley) in early March, where it was a slightly warmer 3 degrees overnight. Was the mat warm and comfortable? 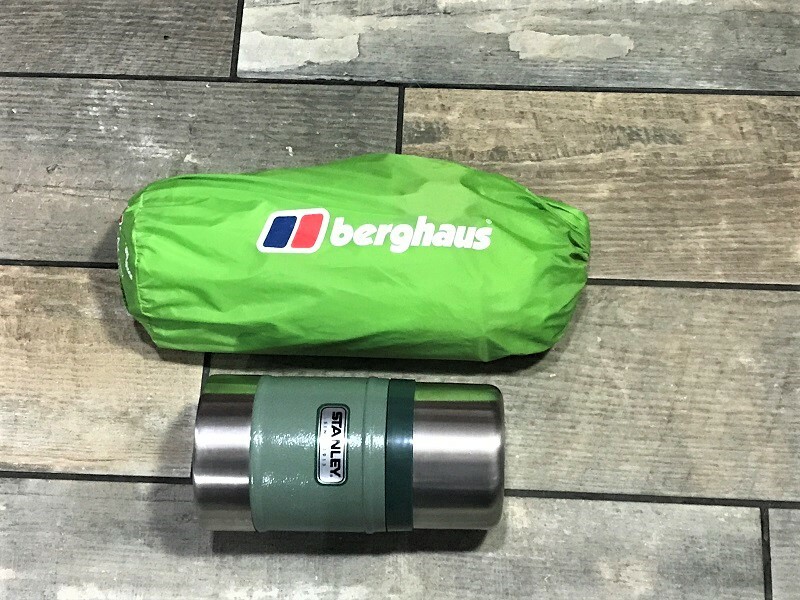 Size - Width and length on the Pro Peak mat are a good compromise between being a full length/width mat and having a small and light pack size/weight. I am 5’11”, quite broad and could do with loosing a few pounds but the size of this mat was perfectly fine. I didn’t roll off it and wasn’t hanging off it either. As for comfort, you can alter how hard you want it by adding or removing air. I spent most of my time on my side, leaning on my elbow tapping on my phone and I was comfortable. It gave my entire body plenty of support in different positions, and my hip didn’t dig into the ground when I was on my side. 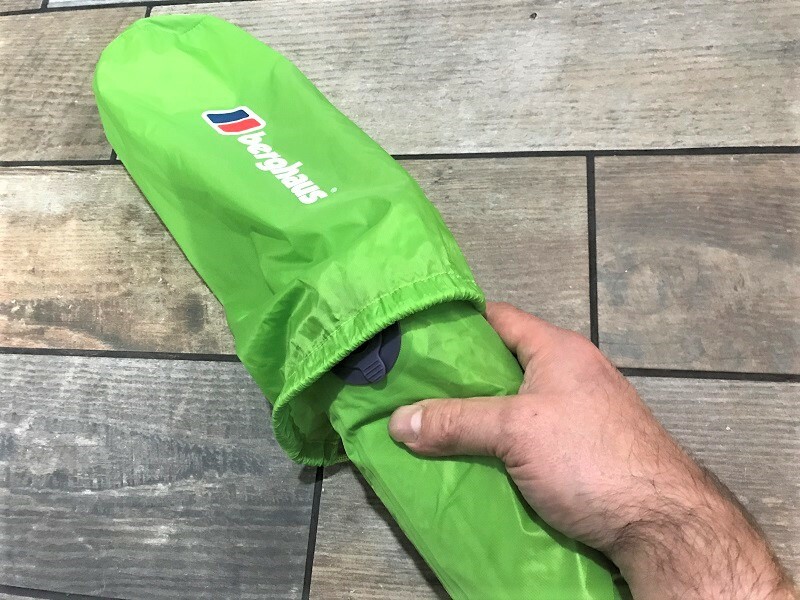 On one side of this mat, you will notice it is covered with tiny Berghaus logos. This isn’t the manufacturer being vain and trying to plaster themselves everywhere. 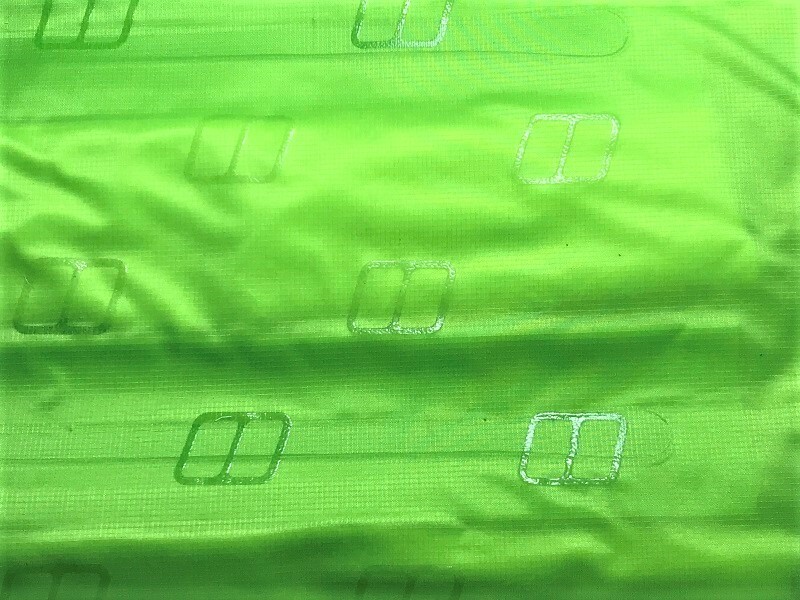 If you feel the logos, you will notice that they are silicone and very grippy. 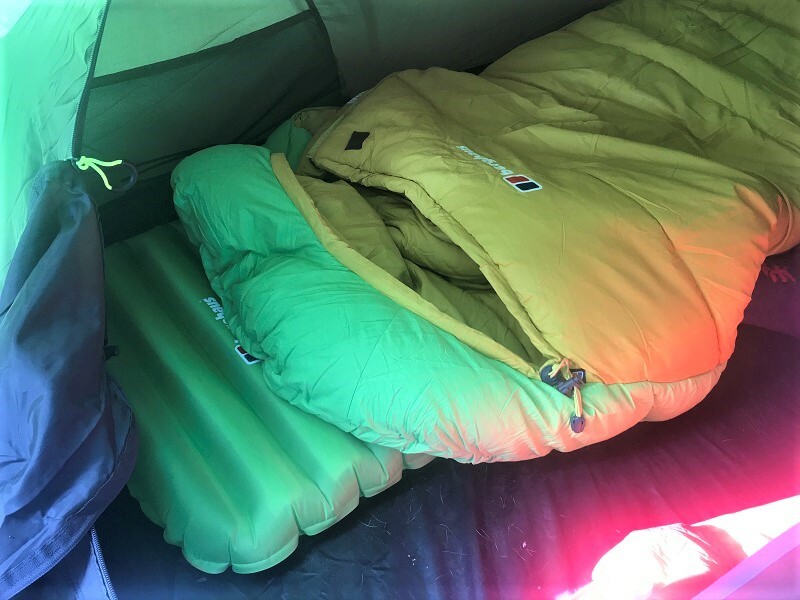 This is the top of the mat and it stops your sleeping bag from slipping off the mat, which is perfect for when you are pitched up on a slope and would normally wake up finding yourself having slid down or off the mat in the night. 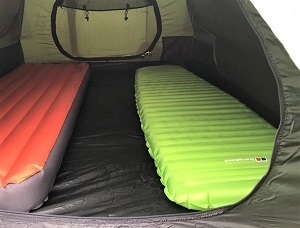 When you are solo or wild camping and your gear size and weight is important, this mat certainly does what it promises (and for a reasonable price). 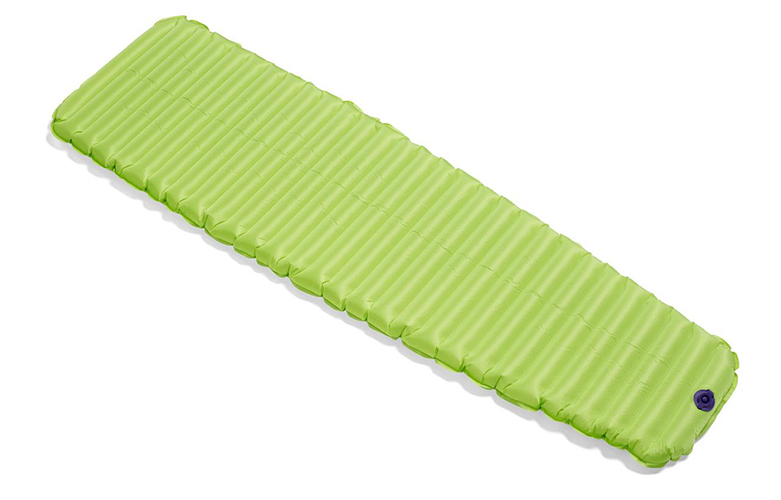 It is lightweight (480g), and does have a small pack size. It does take up very little room, and can easily be fitted into your backpack along with the rest of your gear. The storage bag is oversized which makes packing away easier. It’s such a pain having to wrestle something back into it’s bag at the end of a camp, no problems here. I’ve found the quickest method of packing away is as follows, but I take no responsibility for you doing the same. 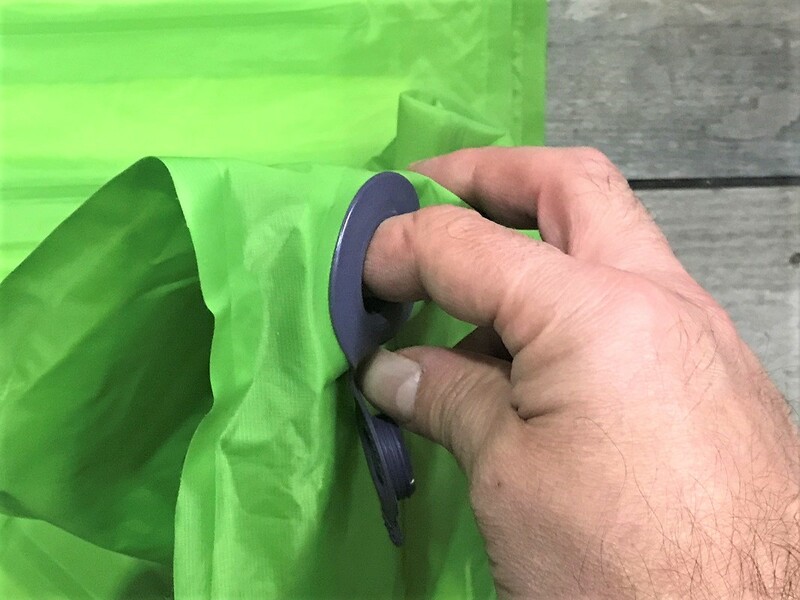 Open the valve up, stick you finger inside it and carefully fold the baffle back on itself so that it stays fully open when you are rolling it away. 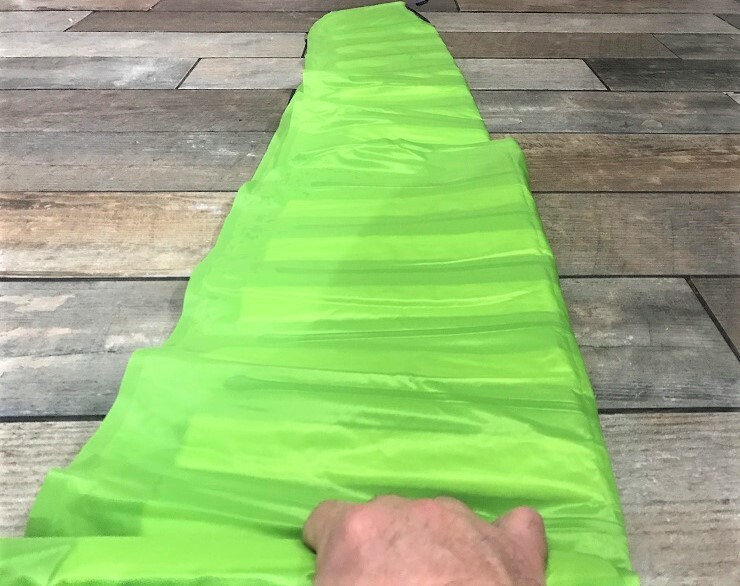 Fold the mat in half along it’s length and the roll it up. Done, and quickly too. 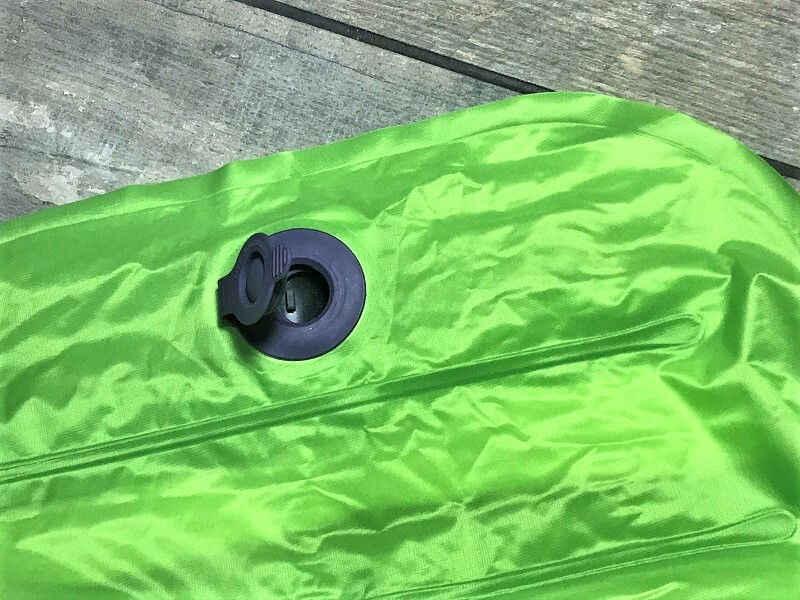 The air comes out via the large valve fast, the mat flattens out and rolls away effortlessly. It comes with a repair kit too. 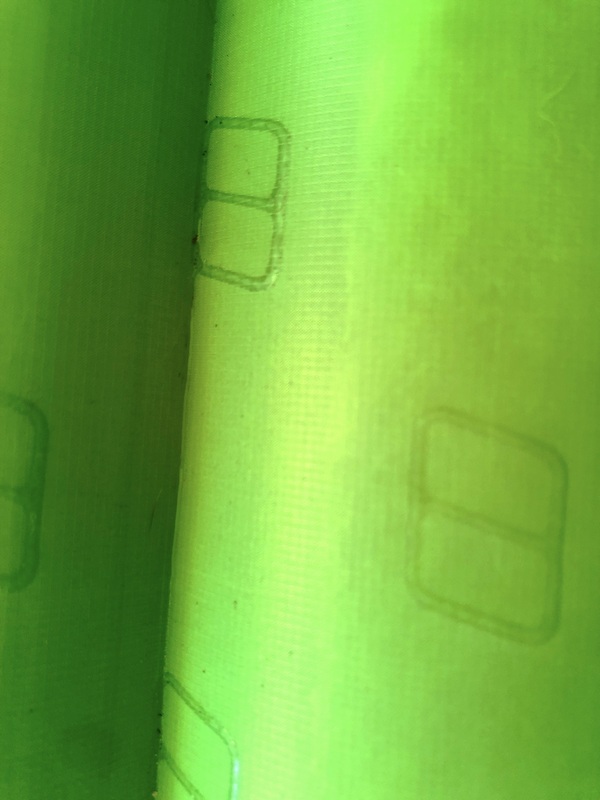 As someone who has managed to burst a very expensive sleeping mat with a hammer (yes true), having some glue and a repair patch close to hand is very useful. It’s quiet. Moving around on this mat is silent, unlike other brands I won’t mention that are like sleeping on top of a padded crisp packet. This is not a self inflating mat, blowing it up only takes a few decent lung fulls of air and it’s done. 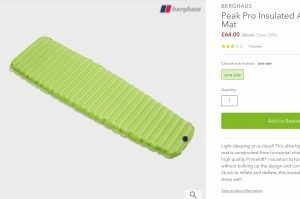 At the time of writing this review, the Berghaus Pro Peak insulated air mat was available from Millets for £60 with an extra 15% off code. At the time of writing, Millets had this mat on offer, click above.